I am a big fan of Topaz Labs. They have a great collection of quality plugins at reasonable prices. They even offer the plugins in both 32-bit and 64-bit! I just received an email about their latest update for Topaz DeJPEG 3 and it’s another winner. 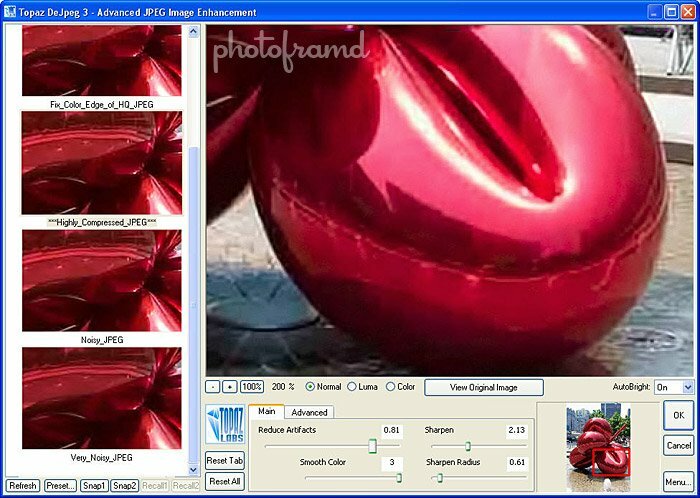 Jpegs have become the leading image format for a variety of reasons. Most programs can view them without additional plugins or compatibility issues. Jpegs compress down to small files suitable for emailing even by cellphone. However, with that tight compression comes artifacting … that very blocky “computer” look. And, images with a lot of red tend to look even worse. There have been several Photoshop techniques to minimize the blocky look, but Topaz DeJPEG makes it simple. Using the plugin is very straightfoward. Start with the presets on the left and then tweek the sliders on the right. Easy. Topaz even offers advanced settings so that you can fine-tune the reduction of the artifacts while enhancing the overall look of the image. The above image shows the power of Topaz DeJPEG. 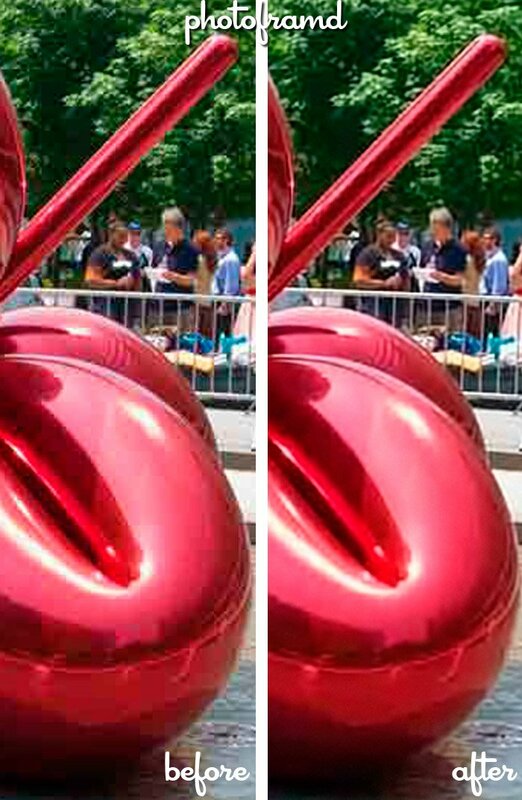 All of the blockiness in the before image has been removed. It even restored lost detail in the red bar at the top of the photo. The edge of the line is straight and smooth. Take a look at the detail in the faces and the trees. Even the lines in the police barricade are sharp and connected. 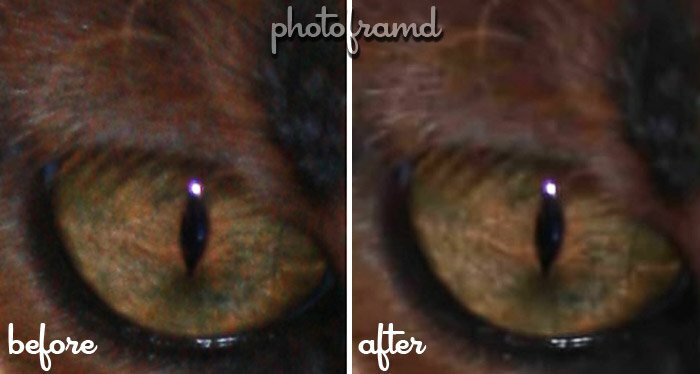 Topaz DeJPEG can even reduce color noise while retaining the overall detail in the image. Pretty impressive!